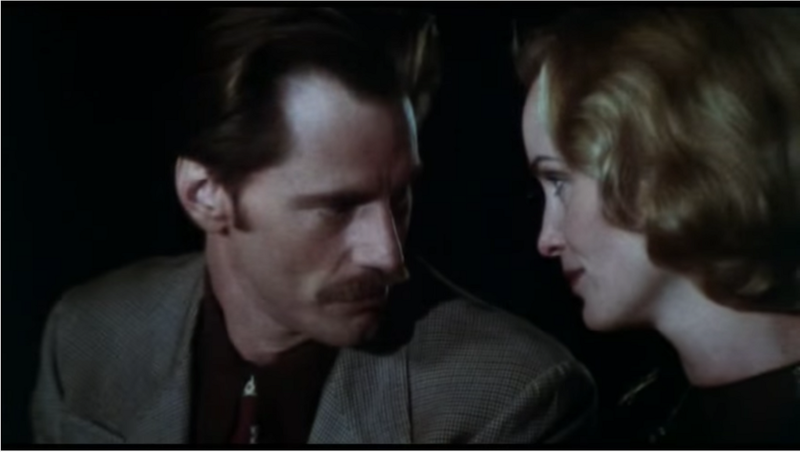 Shepard and Lange in ‘Frances,’ 1982. It isn’t hard to see what drew them to each other. They exhibit, on screen and in interviews, a similar kind of feral, sexual dynamism that is in part a product of reticence. It’s almost always more exciting to imagine that which is being withheld than to enjoy that which is offered freely. And they both — behind steely gazes and set jaws — deliberately project the act of withholding. (Though she is more likely, in any given performance, to show the viewer what lies beneath the cool exterior.) “He’s a great man, a natural man,” Lange told Vanity Fair, “which is rare. I’ve been with a lot of men and I’ve known a lot of men . . . none compare to Sam in terms of maleness.” In The Guardian, Shepard called Lange “astounding. One of the great things about her,” he continued, “aside from her natural beauty, which was remarkable, was her humbleness.” It’s harder to tell what pulled them apart. Shepard’s Guardian profile was published in 2010; in 2011, People Magazine reported that the couple had been separated for almost two years. In the nineties, Shepard told The Guardian, he started going to Alcoholics Anonymous. He quit drinking for four years. And then he “picked it up again.” In 2009, he was arrested in Normal, Illinois for drunk driving after police pulled him over for speeding; his blood alcohol content was twice the state’s legal limit. He was arrested again, in 2015, in Santa Fe, New Mexico, on the same charge, though it was dismissed later that year. It’s almost too neat an explanation: the two sides of a man’s personality doing destructive battle, as dramatized by the dueling brothers in True West; the ghosts of the past continuing to haunt, as in Buried Child. By 2000, Lange was less interested in “interrupt[ing her] life” for her art. “If I can spend a half-hour before I’ve got to go to the set hanging out with my kids, or have a conversation with a friend on the set,” she explained, “I would rather do that than prepare for the scene.” It’s hard to imagine Shepard — who has acted in sixty or so films and written over fifty plays (to say nothing of his memoir or three collections of short stories) — uttering a similar sentence. There is something singularly painful about the breakup of a relationship late in life. Especially when the relationship was forged not in youth, but in maturity, after both partners were presumably done, to paraphrase Lange, burning out their cylinders. Especially when the reasons for its demise seem, to an observer at least, pitiably unoriginal: the woman content to spend time at home with her family; the man still in thrall to an addiction nurtured in younger, wilder days. In his biography, Shewey quotes from a 1984 interview Shepard gave to London’s Sunday Times. The writer asked Shepard “why he thought country and western music is so invariably sad.” Shepard — who had recently left Jones for Lange — replied, “country music speaks of the true relationship between the American male and the American female.” That relationship is, per Shepard, “terrible and impossible.” Shepard was asked about that statement ten years later, in an interview with the New York Times. “It’s impossible,” he clarified, “the way people enter into it feeling they’re going to be saved by the other one . . . And of course that’s going to be a disappointment . . . In that sense, yeah, I think the illusions about it are impossible.” He claimed to have lost those illusions. Maybe he — or Lange — simply didn’t. And maybe there’s still time for both to learn. Lange was in the audience for the premiere of the Broadway revival of — all too appropriately — Fool for Love late last year and “very much in evidence” at the after party. Miranda Popkey is a writer based in Cambridge, Massachusetts. Follow her on Twitter: @mmpopkey.